Orly just posted this sneak peek picture on their Facebook page of an upcoming collection called Mega Pixel FX. Here's what they had to say about it: We promised and now we deliver to you the first look at our brand new collection MegaPixel FX. ORLY is bringing you six new shades of pixelated perfection. 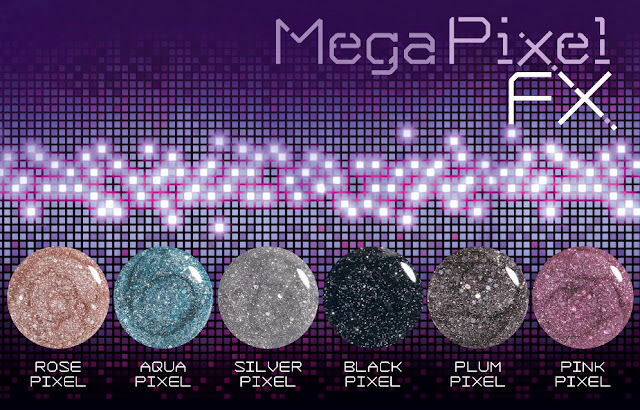 This innovative 3D formula provides a million pixels of glitter for a high-res multi dimensional finish. Bet you cant wait to slip on this sparkle. No word of a release date yet, but aren't they pretty?! !